60 slips of calm, quiet, and protected dockage for boats between 21′ to 45′ feet in length with water and electric up to 50 Amp. Our finger docks are boat accessible at any tide. 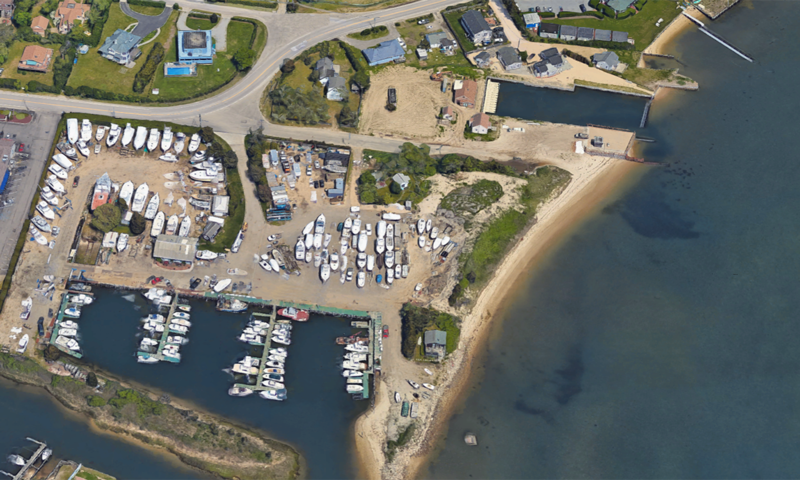 Winter storage available for up to 100 boats on land. Furthermore the Marina provides you with on site parking, newly renovated restrooms with showers, as well as dockside amenities such as picnic areas and barbeques. White sand ocean beaches await just a short walk over the Ponquogue bridge. Two great restaurants, The Back Bar and Grill and The Inn Spot on the Bay, are next to our Marina property as well as the seafood shop Tully’s. A short walk down Foster Avenue you will find the fun family restaurant Shuckers offering lobster bakes, live music and more.